It’s been two years since Netflix made major waves at the Cannes Film Festival with their controversial entries, Okja and The Meyerowitz Stories. Since then, cinema purists have been especially vocal about the viability of streaming content within major spaces like festivals and certain awards shows. In some cases, that discord has led to very limiting policy changes to prevent platforms like Netflix from formally competing. 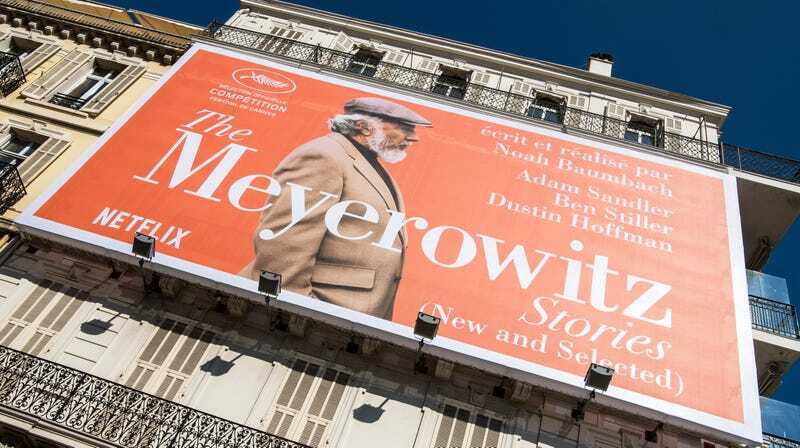 While it appears that Cannes could be open to making amends with the streaming world in the future, it doesn’t look like it’s going to happen in time for this year’s festival. Netflix will be sitting Cannes out for the second year in a row, per a report from Variety. It might not be the greatest loss this time around, as Netflix doesn’t appear to have have any confirmed festival-ready properties at the moment. After missing out on the golden goose that was Roma, Cannes artistic director Thierry Fremaux reportedly had his sights set on Martin Scorsese’s latest, The Irishman. However, unprecedented production hang-ups have slowed things down, making it unlikely to be ready in time for entry prior to its slated September release. Hopefully the two will hug it out in time for next year.